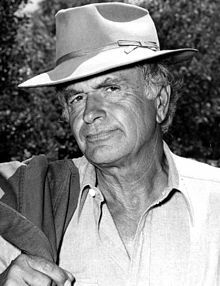 Noah Lindsey Beery (August 10, 1913 – November 1, 1994), known professionally as Noah Beery Jr. or just Noah Beery, was an American actor specializing in warm, friendly character roles similar to the ones played by his paternal uncle, Wallace Beery, although Noah Beery Jr., unlike his more famous uncle, seldom broke away from playing supporting roles. His father, Noah Nicholas Beery (known professionally as Noah Beery or Noah Beery Sr.), enjoyed a similarly lengthy film career as a major supporting actor. Beery Jr. was best known for playing James Garner's character's father, "Rocky" in the NBC television series The Rockford Files (1974–80). Beery was born in New York City, New York, where his father was working as a stage actor. He was given his nickname "Pidge" by George M. Cohan's sister Josie. The family moved to California in 1915 when his father began acting in motion pictures. After attending school in Los Angeles, they moved to a ranch in the San Fernando Valley, a style of living he would maintain for the rest of his life. 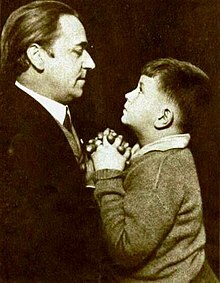 At the age of seven, he appeared with his father in The Mark of Zorro and like his father, who immediately began billing himself as "Noah Beery Sr.", he went on to become a respected character actor. His paternal uncle, Oscar-winning actor Wallace Beery, became the world's highest-paid actor by 1932. Although neither Beery Jr. nor his father ever approached that level, both had long and memorable acting careers. The three acting Beerys physically closely resembled each other, but Noah Beery Jr. lacked the powerful voice his father and uncle possessed, which is ironic since both older Beerys made major careers in silent movies. Beery appeared in dozens of films, including a large early role as John Wayne's action partner in The Trail Beyond (1934; Wayne was 27 years old and Beery was 21), Only Angels Have Wings (1939) with Cary Grant, 20 Mule Team (1940) with his uncle Wallace Beery, and Red River (1948), again with John Wayne. Beery's early television work included a weekly stint as a clown in Circus Boy with Micky Dolenz in the mid-1950s. In 1960, Beery replaced Burt Reynolds in the co-starring role of Bill Blake on Riverboat, an NBC Western series starring Darren McGavin. He appeared once on the religion anthology series Crossroads and on Walter Brennan's ABC sitcom, The Real McCoys. He guest-starred three times on the long-running NBC Western series The Virginian in the 1960s, and twice during the same era on Wagon Train. In 1965, he made two guest appearances on Perry Mason (murderer Tony Claus in "The Case of the Golden Venom", and defendant Lucas Tolliver in "The Case of the Hasty Honeymooner"). Beery portrayed the buckskin-clad recurring sidekick character "Buffalo Baker" in the 17-episode 1967 television series Hondo starring Ralph Taeger, a role played by Ward Bond in the original 3D John Wayne film. But Beery is best known for his role as Joseph "Rocky" Rockford, the father of Jim Rockford, James Garner's character on The Rockford Files (1974–80). Beery died on November 1, 1994 in Tehachapi, California of a cerebral thrombosis, aged 81. He was interred in Forest Lawn Memorial Park. Beery Jr.'s first wife until 1966 was Maxine Jones, the only child of Western star Buck Jones. His second wife from 1968 until his death was Lisa Thorman. He had two daughters, Muffett and Melissa; a son, actor Bucklind Beery; and three step-children, Page, Sean, and Lorena Slattery. On February 8, 1960, he received a star on the Hollywood Walk of Fame for his contributions to the television industry, located at 7021 Hollywood Blvd. ^ "Noah Beery Jr". New York Times. Retrieved October 23, 2014. ^ Staff, From Times; Reports, Wire (1994-11-02). 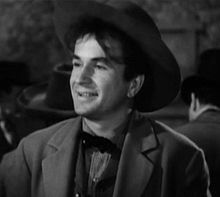 "Noah Beery Jr.; Film, TV Character Actor". Los Angeles Times. ISSN 0458-3035. Retrieved 2016-06-19. ^ Wilson, Scott. Resting Places: The Burial Sites of More Than 14,000 Famous Persons, 3d ed. : 2 (Kindle Locations 3178-3184), McFarland & Company, Inc.
^ "Noah Beery Jr., 81, an Actor Known for Playing Sidekicks". The New York Times. 1994-11-03. ISSN 0362-4331. Retrieved 2016-06-19. ^ "Noah Beery Jr". walkoffame.com. Retrieved 2016-06-19. ^ "Noah Beery Jr. profile". latimes.com. Retrieved 2016-06-19.